Bardic Theatre’s Elvis inspired musical All Shook Up, which opens on Friday 3rd February, is pleased to announce it’s principal casting. Playing the lead role of hip-swiveling roustabout ‘Chad’ is Sean O’Neill. Glor Tire contestant Lauren McCrory will take on tom girl ‘Natalie’ whose character also plays the guise of Ed. 'Jim', Natalie's widowed father owns the family run mechanics garage (where Natalie also works), is played by Declan McGrath whose character fancies Sandra but can never quite find the words to express his feelings towards her. Bardic veteran Catherine Herron make a very welcome return to the stage for the first time in five years in the role of museum owner 'Sandra' who may also have an admirer or two. ‘Geeky Dennis’, played by Conor Begley, is in love with his best friend Natalie yet her heart belongs with Chad. All Shook Up Producer and Director Stephanie Faloon will play ‘Sylvia’, the feisty and frustrated Honky Tonk owner, mother to Lorraine and is in love with her lifelong friend, Jim. Rachel McKenna takes on her first principle role in a Bardic Theatre production as Sylvia's daughter ‘Lorraine’. Lorraine and ‘Dean’, played by Jordan Donnelly and newcomer Haydn Cullen, who is Mayor Matilda's son, are both madly in love with each other embark on their own love story searching for that perfect fairytale ending. Playing the more law enforcing and authoritive roles in All Shook Up are Karen Kirby as ‘Mayor Matilda’ and Brian Mills as ‘Sherriff Earl’ with Stuart Richardson as 1st Cover. 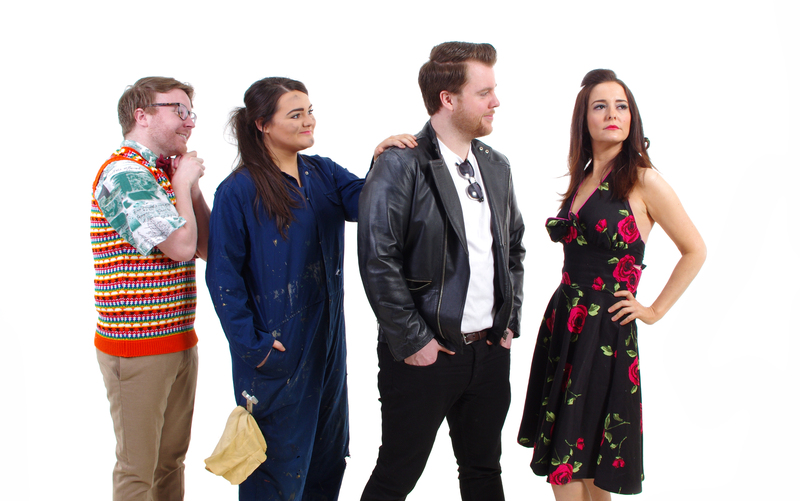 Along with an ensemble cast of fifteen who will grace the stage as they bring you back to the 50’s Midwest are accompanied by a six piece band who have proven themselves to be the best in the business. All Shook Up is guaranteed to leave audiences electrified, satisfied and still wanting more, just how The King himself left audiences across the States throughout his career. Packed with twenty-five of Elvis’ greatest recording, the townsfolk are about to be All Shook Up and could be headed for Heartbreak Hotel, but for Natalie, the love-struck, tomboy mechanic, it really is Now or Never. All Shook Up opens on Friday 3rd February 2017 at Bardic Theatre, Donaghmore for a limited run. Online booking available 24/7 from www.bardictheatre.com and tickets can also be purchased in person from Stewart’s Music Shop, Dungannon.